Happy Labor Day! Hopefully today was a day of rest, not labor for you all! 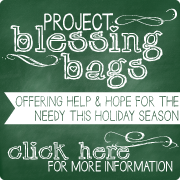 We’ve got just a couple prayer requests (and praises!) this week, so I’ll get right to them! • Whether schools in your area are already back in session, are starting this week, or will be soon…it’s that time of year! This week, take some time to lift up the students and teachers across the country. Pray that Christian teachers will be bold in sharing the Gospel with coworkers, parents, and students and that they will approach education with the wisdom of the Lord and not the wisdom of the world. Pray that there will be a renewed hunger in our schools for biblical truth. 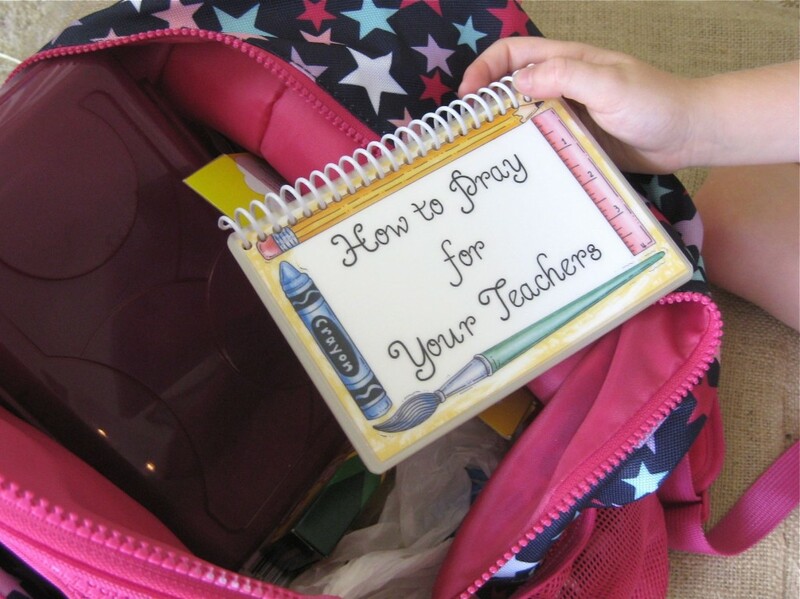 Pray for the Lord’s blessing and protection over our schools – that they would be hedged in and shielded from danger. • Karen, one of our favorite supporters and customers, is asking for prayer as she leaves Tuesday (the 3rd) to go to Tanzania for a 3-week mission trip. Karen will be visiting her brother and his wife who’ve been full time missionaries there for over a year now. She says she plans to work with and love on the orphans who live in the streets of a village called Kigoma. Karen will work with an organization called Hope of the Nations, which provides the orphans with 2 meals a day, a clean uniform, and schooling. She’ll be teaching them English and also about Jesus! Also, on one of the weekends Karen be speaking to a gathering of women there on the topic of God’s love. Please pray that Karen will yield to God’s daily plan for her. Let’s also pray for God’s blessing and protection over every aspect of the trip – from the travels to her adaptation of time zones and new foods, as well as God’s blessing over spiritual fruit in the lives of the Tanzanians. • Tami, my kids and I got to spend a day with the Davis family last week. Here’s a quick update on little Ian Davis. He had his follow-up appointment with the neurosurgeon after the Halo was inserted. The doctor said from what they could see, the bones seem to be fusing properly. Unfortunately, due to the bars on the Halo, they could not get a very good x-ray. 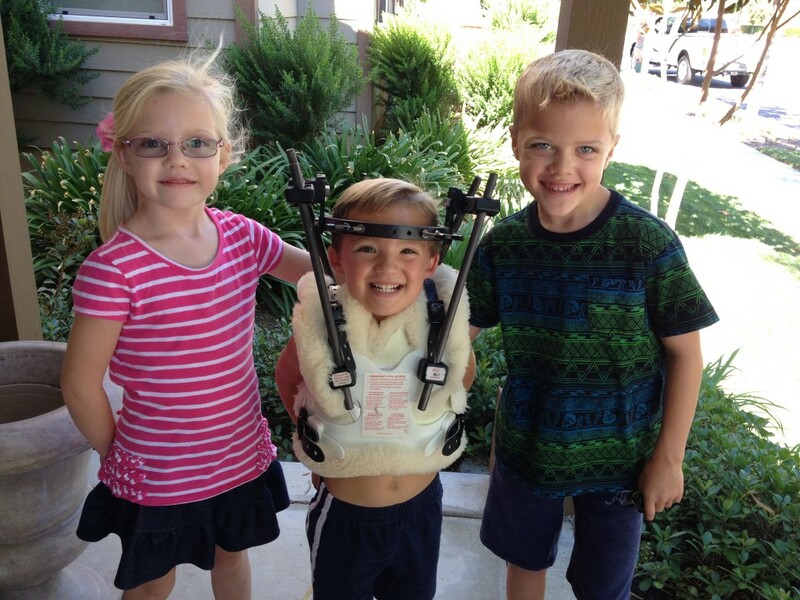 Ian is doing well with pain management and learning to adjust to life with the Halo, so that is a praise! Please pray that Ian’s head circumference would not outgrow the Halo before his remaining 5 months with it is up. The doctor did note some concern that it is getting really tight already. Should his head get too tight in there, they would need to completely re-do the surgery! Please also pray for God’s provisions for Ian’s mom, Lesily, to be able to attend her Bible Study Fellowship group this year. They are working on getting a special volunteer to “shadow” Ian so that he could be a part of the children’s program during Lesily’s Bible study time. Pray that a special lady will step forward to fill that role and that Lesily will feel confident that Ian will be well-cared for. Thank you Molly for including us in your prayer requests! We loved getting some time with you guys :). Thanks for your prayers, Jenny! And thanks for pointing that out about finding joy in all circumstances…Ian certainly is such a great example of that!